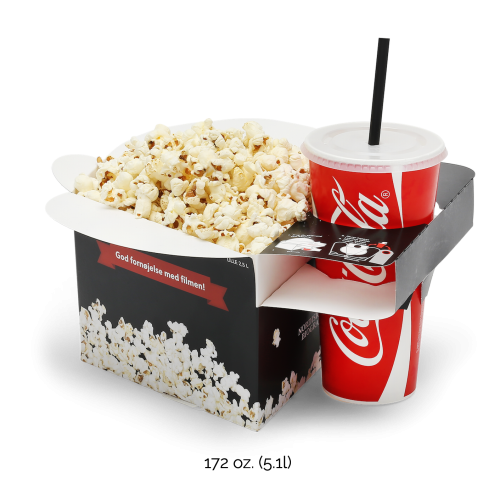 The new popcorn combo box enables the customer to carry more snacks and beverages. 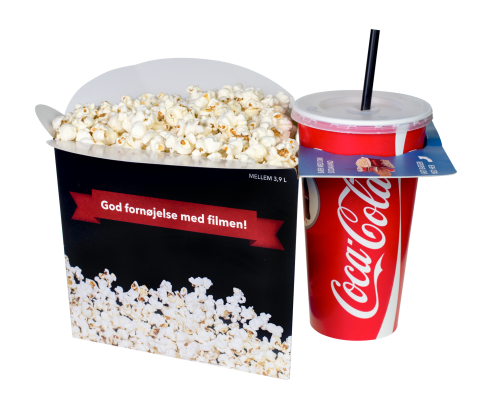 Pairing beverage and popcorn physically increases the probability of guests choosing a menu. V-shaped to fits between the legs. 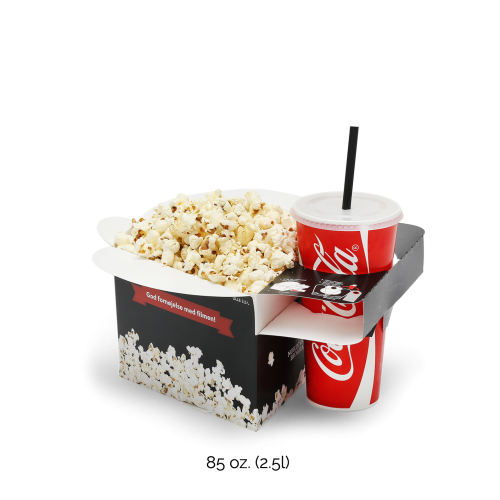 For cinemas and stadiums the V-shaped box minimizes number of spilt popcorn because it can be placed between the legs during the show instead of on the ground. Combo carried in one hand. 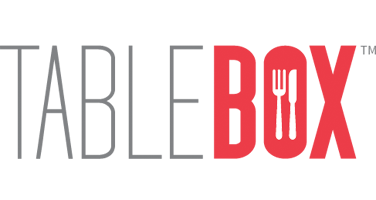 Increasing turnover by freeing an extra hand. 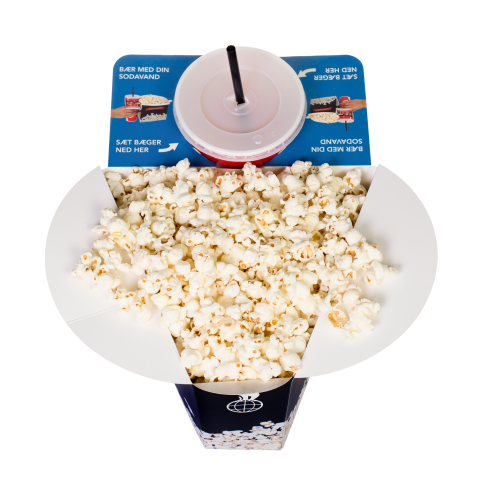 Carrying popcorn, beverages and candy for the whole family can be a challenge. 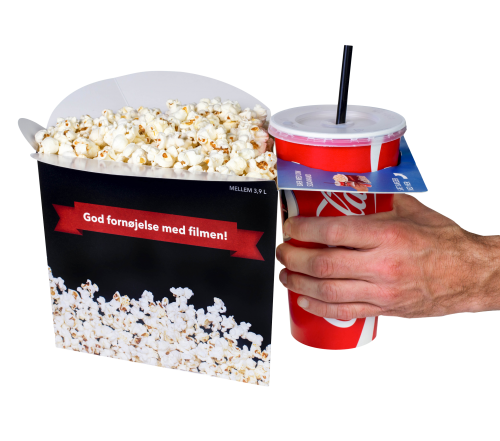 The customer has a better experience when freeing a hand to hold a child, the mobile phone or an extra snack.  Freeing a hand increases the probability of an additional purchase. 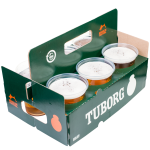 Easy to assemble and comes in all sizes. 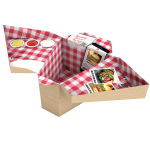 Easy assembling makes it possible to assemble on demand. 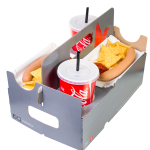 It is also higly stackable and very intuitive for users in self service situations. 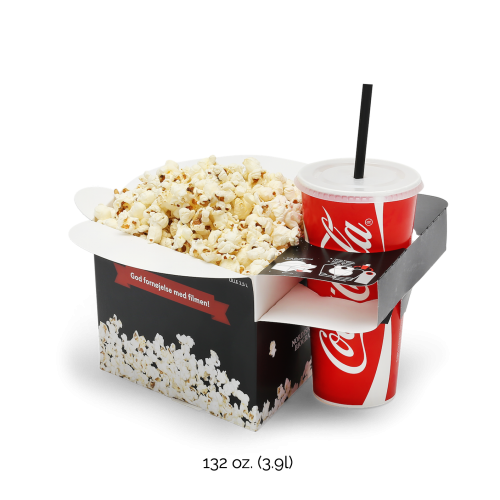 The popcorn box come in different sizes and can be used for nachos, beer nuts, chicken strips etc.